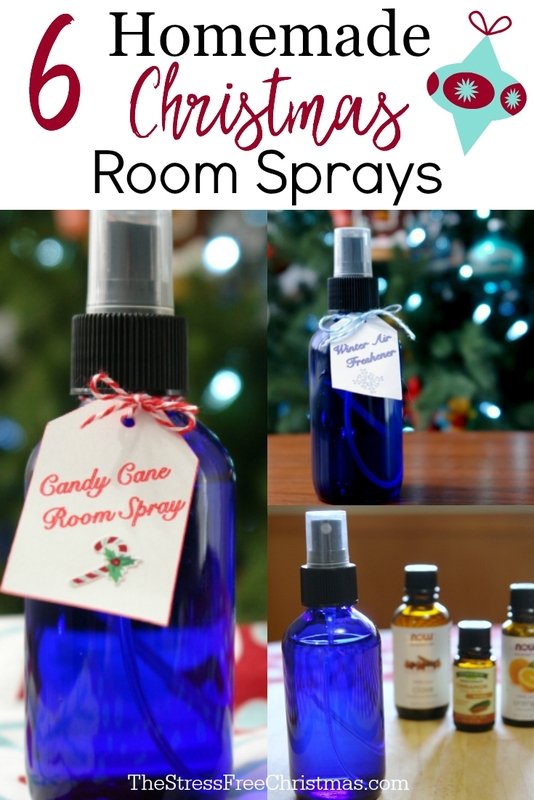 Make your home smell great for the holidays with these easy to make Christmas room sprays. They are all made using essential oils. 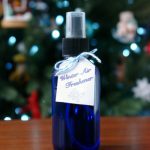 I love to make my own Christmas room sprays to help keep my home smelling fresh all holiday season long. When you make them yourself you have control over the scent and the ingredients. Conventional room sprays often contain things like phthalates which are endocrine disruptors. Nothing Christmasy about that! Christmas room sprays also make great gifts. 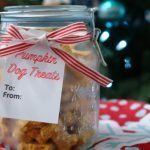 Put them in a nice bottle with a pretty label and it’s a gift everyone will enjoy. You can even give them the recipe so they can make their own refills. I like to buy my essential oils and glass spray bottles on Amazon. 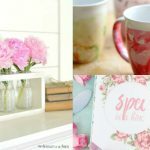 You can usually get a good deal making this a low-cost project and gift. If you are interested in making your own you can either play around with your own scents or use some of the great ones I’ve found. 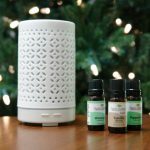 Peppermint, cedar, orange, cinnamon, and clove are all great essential oils to have around to create different holiday scents. 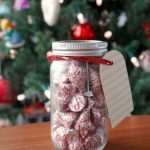 These Christmas room spray recipes use those essential oils and others. My favorites are Candy Cane which is a minty fresh scent and Orange Spice which is great for the whole holiday season. I like to start using it in the fall. If you want to create your own scents simply fill your glass spray bottle with vodka and add around 30-40 drops of essential oils. Be sure to shake all of these scents well before use as the oils may settle. You can often use these sprays on fabric as well but be sure to test before using. 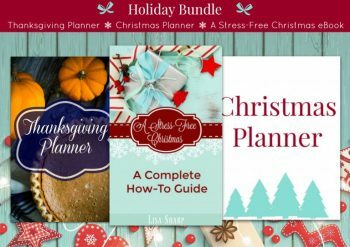 Need more tips for having a wonderful and stress-free Christmas? 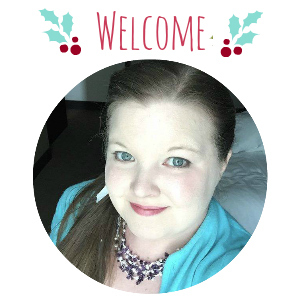 Be sure to sign up below for our newsletter and get a free printable list of 75 things to declutter before Christmas!